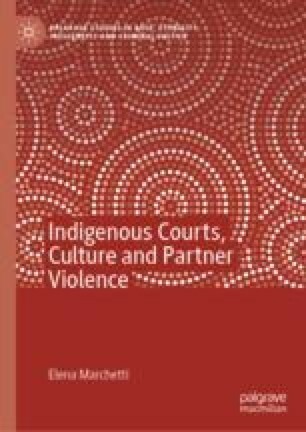 This chapter brings together the ideas and findings presented in the previous chapters to consider how current and future justice responses should be tailored to best serve the needs of victims and offenders of Indigenous partner violence. In particular, this chapter focuses on how the research findings are similar or different compared to those of others, and how they relate to feminist debates concerning the use of informal or innovative justice practices when sentencing partner violence offenders. Research or evaluation of even the most thoughtful Indigenous-focused crime and justice programs continues to find that such programs have little or no impact on offending outcomes such as recidivism rates, but we need to ask whether such findings are an accurate reflection of program ineffectiveness or the consequence of how the research was carried out. This chapter considers this question with reference to Indigenous-focused sentencing court practices for those who abuse their partners. Fletcher, R. (2009) Father-Inclusive Practice Guide. Canberra: Commonwealth of Australia. Available at: https://www.dss.gov.au/sites/default/files/documents/father_inclusive_practice.pdf (Accessed: 20 November 2018). Jambor, C. (2018) ‘Does Circle Sentencing Reduce Recidivism and Keep Indigenous Offenders Out of Jail? A Study Will Find Out’, ABC News, 4 September. Available at: https://www.abc.net.au/news/2018-09-04/circle-sentencing-to-be-reviewed-for-first-time-in-10-years/10198802 (Accessed: 20 November 2018). Mandel, D. and Rankin, H. (2018) Working with Men as Parents: Becoming Father-Inclusive to Improve Child Welfare Outcomes in Domestic Violence Cases. Columbus: Ohio Intimate Partner Violence Collaborative. Available at: https://safeandtogetherinstitute.com/wp-content/uploads/2018/07/OH_FYLAW_Working-with-Men-as-Parents-Brief_July-2018.pdf (Accessed: 20 November 2018).